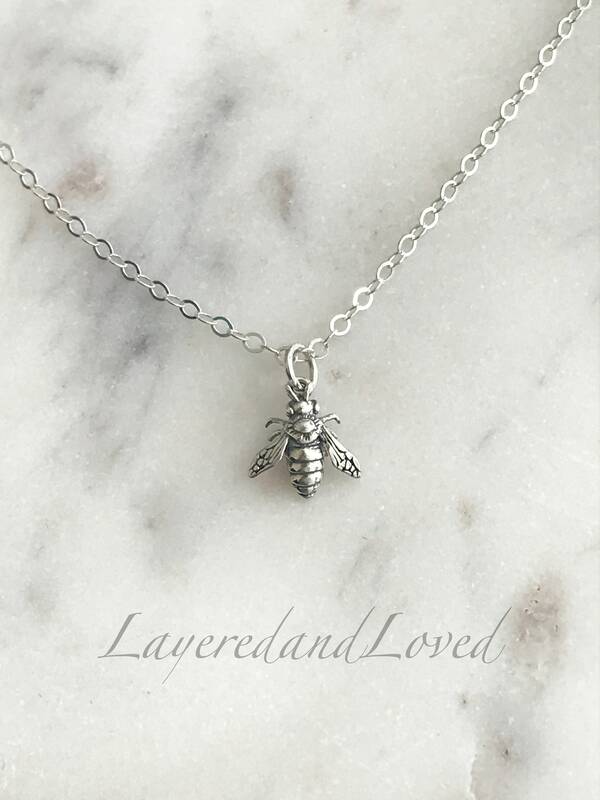 Beautiful and dainty detailed 3-D bee charm necklace. 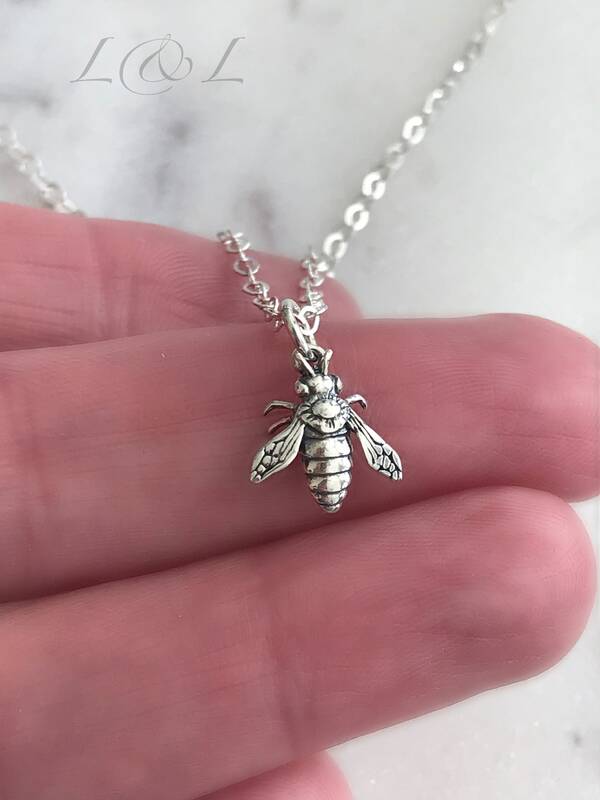 All materials are quality sterling silver and your necklace will come with a polishing cloth. 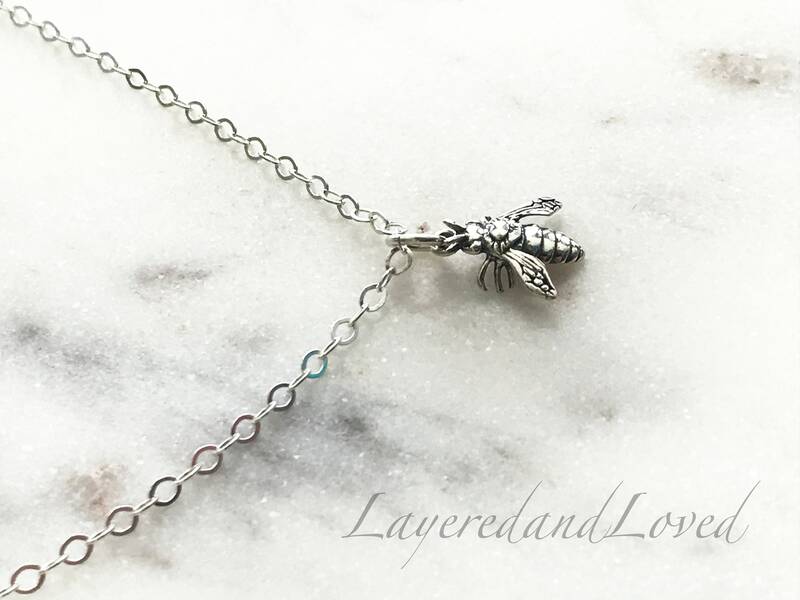 -To extend the life of your plated jewelry, please take care while wearing. Avoid harsh perfumes and chemicals. Do not wear while swimming and do not sleep in your jewelry. It also helps to store your gold plated jewelry in a pouch or soft cloth separate from other jewelry.